Achieve Academy will be awarding an annual Tumbling Scholarship in memory of our student Kendall Murphy: 2004 - 2011. 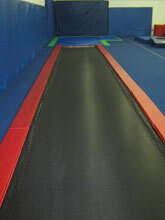 Enter the “Why I Love Tumbling” essay contest here. 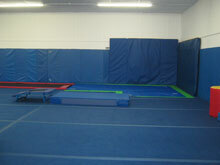 Come check out our newly expanded tumbling facility! 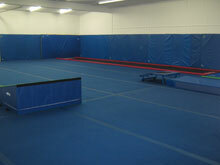 It has a 60 ft. x 40 ft. sprung floor, and a 56 ft. in-ground tumble track (trampoline) leading to a solid foam pit to facilitate power tumbling. 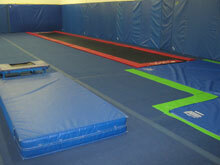 Tumbling classes are available for ages 3 & up, and we offer 6 tumbling levels to accommodate all skill levels. 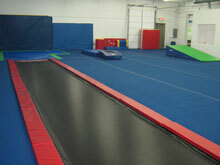 Other tumbling related classes include Jazz/Acro which combines Jazz dance with tumbling. 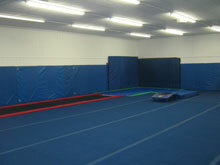 Find out more about our Tumbling classes.